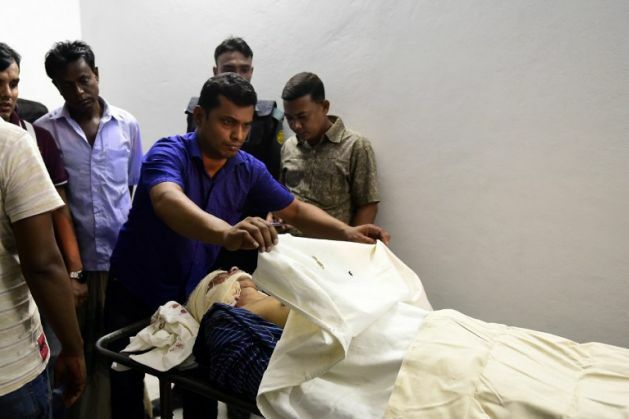 Religious extremism and intolerance reached new heights in Bangladesh after one more publisher was hacked to death and three others injured on Saturday. Meanwhile, a group identifying itself as the Ansar al-Islam, the self-styled Bangladesh unit of al-Qaeda in the Indian sub-continent claimed responsibility for Saturday's attacks. In an e-mail sent to media outlets, the militants stated, "These secular and atheist publishers waged war against religion of Islam in every possible ways. We will annihilate anyone who will dare stand against Islam." Earlier on Saturday, publisher Ahmedur Rashid Tutul, who owns publishing house Shuddhaswar, was attacked in his office at Lalmatia along with writer Ranadipam Basu and blogger Tarek Rahim. The three suffered severe injuries. "I saw him lying down in a massive pool of blood. They slit his neck. He published the books of Avijit Roy. They also attacked other publishers of Roy but only my son died" Dipan's father, Abul Kashem Fazlul Haq, who found his body, told AFP. Both Jagriti Prokashony and Shuddhaswar had published a number of books written by Avijit Roy, who was killed in February this year by Islamist militants. Dipan had earlier informed the police about the death threats he had been receiving. Ansar al-Islam justified its wrath by holding the "secular and atheist publishers" responsible for allegedly releasing books by blasphemers that dishonoured Prophet Muhammad and offended the Muslim faith. The group has threatened to carry out more attacks. Amnesty International has called on the Bangladesh government to "act urgently" and called the attacks "a deliberate assault against freedom of expression." The tussle between secularism, freedom of speech and religious extremism in Bangladesh since 2013 has taken the lives of nine bloggers and publishers including Saturday's attack. Also read: Is freedom of speech being murdered in Bangladesh along with its bloggers?